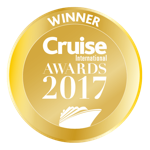 Silversea Cruises - 6 Star Special Offers! Savings available on selected Cruises! Silversea Cruises have a new selection of superb value offers, making their elegant, refined and inclusive cruise experience even better value. New Ship, the Silver Muse is now on Sale!